Adaptive front lighting system uses the steering angle and vehicle speed, to keep your field of vision wide by swiveling and leveling the headlamp. 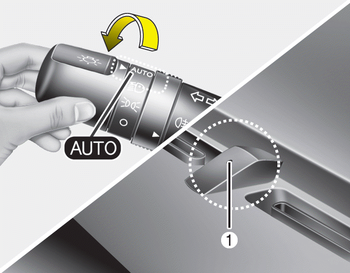 Change the switch to the AUTO position when the engine is running. The adaptive front lighting system will operate when the headlamp is ON. To turn off the AFLS, change the switch to other positions. After turning the AFLS off, headlamp swiveling no longer occurs, but leveling operates continuously. 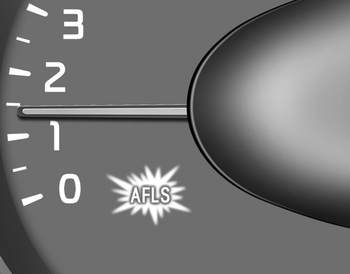 If the AFLS malfunction indicator comes on, the AFLS is not working properly. Drive to the nearest safe location and restart the engine. If the indicator continuously remains on, we recommend that the system be checked by an authorized Kia dealer.